Professional Quality Premium Service Asheville Air pulls from 12 years of experience to ensure quality work at competitive prices. From quick repairs to commercial construction, we aim to exceed expectations on any project. Homeowners Asheville Air's qualified & courteous staff will take the headache out of home HVAC repairs. From small jobs to full replacements, Asheville Air can help. Businesses Whether your goal is ensuring ongoing routine maintenance, or increasing HVAC efficiency, Asheville Air is a local business ready to assist fellow area businesses. Contractors From complete construction projects to minor installations, Asheville Air will work with contractors to complete their jobs efficiently and effectively. Since 1986, Corley has been providing professional plumbing, electric, heating & air and drain services in Greenville, SC. Get a consultation and upfront pricing. Call 864-517-1251! AC Medic Heating & Air Conditioning provides quality sales, installations, maintenance and service. We service all makes of equipment, and sell brand name products like Trane and Amana that speak for themselves as reliable equipment you can depend on. We are proud of the repeated customer satisfaction that is responsible for our ongoing success. 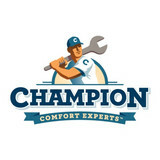 We are known for providing outstanding customer service, specializing in air-conditioning upgrade and installation services. Our AC repair techs have all of the necessary electronic diagnostic equipment to accurately pinpoint problems and save you time and money in the long run. Address: 1402 7th Ave. E., Hendersonville, North Carolina, 28792 Superior Comfort Systems was founded in Hendersonville in 2011, and our name says it all! We were founded on the principal of treating people fairly and being upfront and honest. Our mission as a company is to resurrect customer confidence through honest, quality and timely services. We have a professional, knowledgeable and fully trained staff, so you can trust in the quality of our work. We provide employees with a positive work environment with encouragement to excel in education. 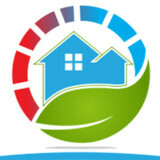 Stickels Service is a family owned and operated HVAC company serving WNC since 1996. We install and service most types of residential and light commercial heating systems, including radient and geothermal systems. When you are sitting comfortable at home do you have the peace of mind that everything is up to code and functioning as it should be? At ICR Service Group we know that adherence to code standards means a safe and complete project. HVAC, home electrical, plumbing we can do it. As our motto states “One call does it all”. ICR Service Group wants to be your general contractor. No more searching through long lists of contractors or combing through review sites looking for electrical contractors or HVAC contractors when you can have one general contractor capable of it all and wants to build a relationship not just a list of completed jobs. Fully insured and bonded we are clean, fast and professional. Bolton Construction & Service of WNC provides air conditioning, heating, plumbing, electrical, generator, maintenance, and general construction services for both home owners and businesses throughout Western North Carolina. Since our business began with William Bolton Sr. in 1925, every generation of the Bolton Family has done their part to grow and improve one of the most trusted names in North Carolina’s service industry. From a simple filter change, new electrical outlet, or leaky faucet — to a new building from the ground up; our staff is dedicated to providing custom service to meet your needs. The one thing that truly sets TW & Company apart from our competition is the personal connection that we make with each and every one of our customers. When it comes to ac repair and furnace repair services, you are faced with a decision involving many options. How do you know you are choosing the right HVAC company for your Asheville or Candler area home? TW & Company is a small, locally owned and operated business in Black Mountain, NC. We live and work in the Asheville, NC, community just like you and your family. We treat your home like our own. Our owner, Dan Wall, personally meets with each of our customers. This shows our customers that, no matter how big or small the job is, they are all important and will be completed to your satisfaction. Give TW & Company a call today if you need HVAC services, furnace or AC repair or installation, or HVAC sales. 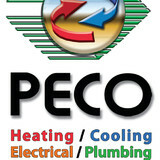 We look forward to meeting with you and taking care of your heating and cooling needs. We can provide same day or next day service for your furnace repair and air conditioning emergencies. We offer 24 hour emergency service for critical jobs. We've been serving the commercial and residential HVAC needs of homes and businesses in Asheville, NC, Candler and surrounding areas since 1996. 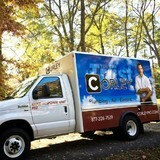 Contact TW & Company today for a free estimate on HVAC services in Asheville, NC. You may reach us by phone (828) 548-1067. Generally, Hoopers Creek HVAC contractors or HVAC technicians work with or run companies that repair or install heating systems and air conditioning units for homes. But they have specialized services too. For example, if you are a wine collector and you are thinking of installing a wine cellar in your Hoopers Creek, NC home, you might hire a North Carolina HVAC professional who specializes in refrigeration work. HVAC professionals can use their skills to help you to save money on your Hoopers Creek, NC home’s energy bills by installing radiant barriers in your attic or split-zone heating and cooling systems to heat rooms like solariums while cooling upstairs bedrooms during warmer temperatures. If you or a family member suffers from allergies, you’ll want to find a North Carolina HVAC technician who is knowledgeable about the latest cooling and heating products that include antiallergen filters. Contractors who work in the HVAC industry keep up on the latest in heating and air conditioning technology so outdated or troublesome systems can be retrofitted with newer, more energy-efficient models. Some of these professionals may work with your contractor, builder or other home improvement professional to get the job done. Find HVAC contractors on Houzz. Look in the Professionals section of our website and search for North Carolina HVAC contractors. Read reviews and see how an HVAC contractor might approach your Hoopers Creek, NC home’s heating and cooling challenges.